This photo perfectly describes this profound quote. When it is sunny outside we often take it for granted and don't realize how great a day it is until the sun starts setting. 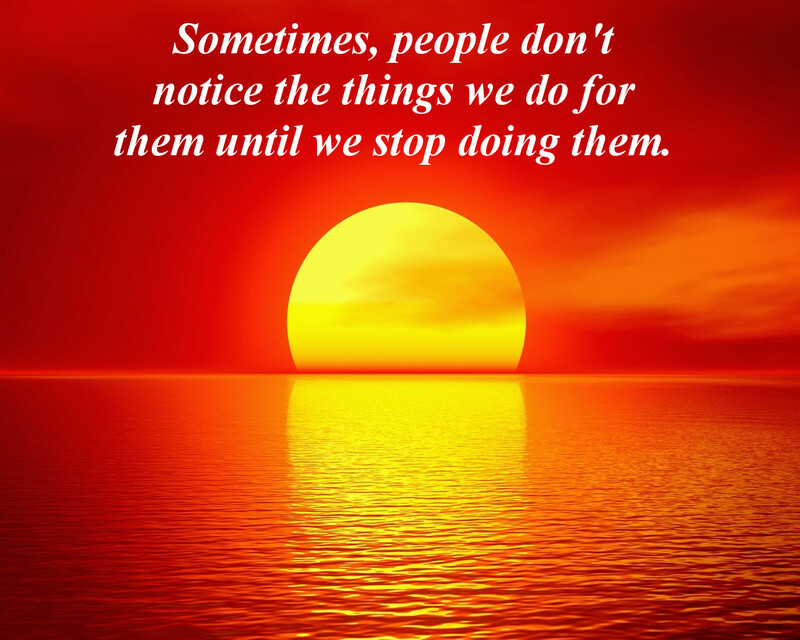 In a very similar way we too often take for granted what others do for us until they stop doing it. This is also applicable to such basic things as having clean drinking water or electricity. Too many places in the world don't have either of those on a daily basis yet in the parts of the world that do, they are flagrantly misused because of the simple fact that they are taken for granted. This simple human condition is one that we should always fight inwardly and always keep an eye out to just what we have, and sometimes who we have. So remember to not take anything for granted before it's too late.